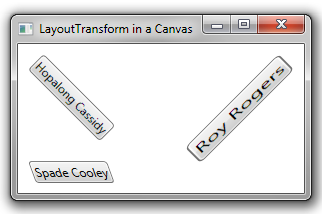 You can use a LayoutTransform on child elements of a Canvas to transform them graphically. Specifically, you can use a RotateTransform, ScaleTransform or SkewTransform. (Translation transforms are ignored).